Специальные отметки Для идеального французского маникюра! It can sometimes be difficult to paint the white tip freehand. Here's the solution – 32 templates for a perfect manicure. Easy to apply, offering a perfect result! 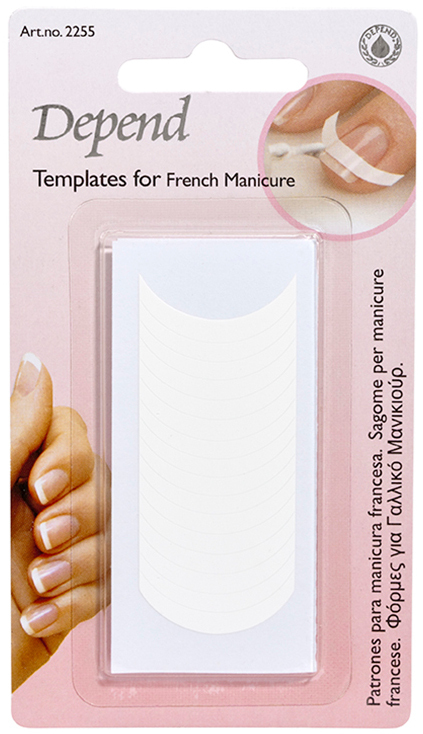 Good shape, but the glue from the sticker sticks onto your nail and it is difficult to remove.